Today's post idea is inspired by The Bf. A few times a week I will hear the phrase "good clouds" from him. He loves a good cloud. What really defines a good cloud? That I'm not sure, but I have to agree with him, clouds are awesome and beautiful and that's why they make for a perfect print. 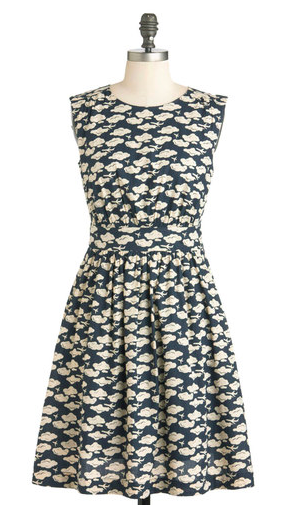 I'm obsessed with this dress. 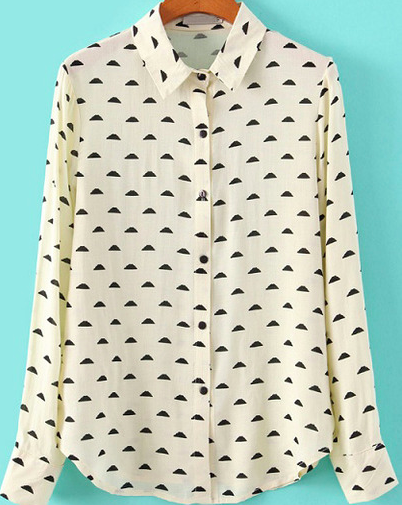 It is such an adorable print and I think it has such a ladylike shape. 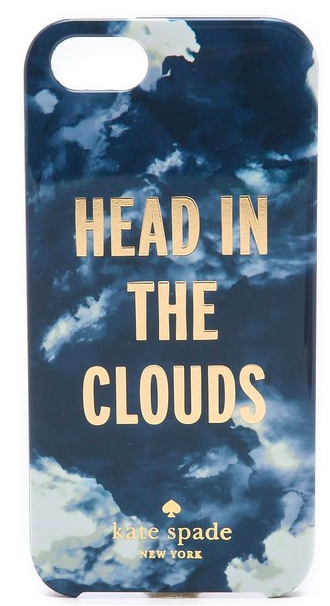 Have some fun with your phone with this whimsical case from Kate. 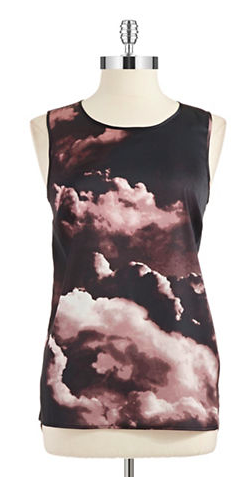 I've been eyeing this top for a few weeks now. I love the overexposed print and the color. It's almost a bit rocker. Why yes, you did read that right. $12. You're welcome. We've got some "good clouds" to choose from here and I think it's a great way to spice up your standard pattern.